Translating ideas and concepts into realities in the given space with convenience and élan are modular kitchens. Modern kitchen or the latest fashionable word ‘modular kitchen’ means just that – modern and modelled to fit your specific purpose and taste. Whether you are a die-hard traditional cook, a star ranking gourmet chef, a regular housewife or a busy executive, you need a kitchen not just to fit into the space provided but into your lifestyle. 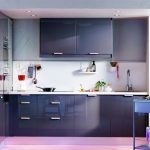 The modular kitchen designs are tailor made to suit your needs as the versatility of pre-fabricated units allows you to adapt it with ease to your particular cooking styles. An elaborate Indian style kitchen design incorporating the ‘tandoor’ or the modern kitchen design allowing ample to minimal space for appliances. Whether you are a harried housewife who wants everything convenient enough to handle the stress of house-life, the ‘pop-in pop-out’ youngster living on his own or the sleek elegant ‘dine in style’ honcho who entertains guests. Digg Interiors have the best kitchen design ideas to bring the aroma into your life. These ready-made kitchens are made to look elegant with sleek cabinets, sinks, storage baskets and counter tops with durable materials and customized designs and colours. Efficient appliances and accessories are an additional feature. But inexperienced personnel can overlook key factors of the functional aspects of a kitchen. At Digg Interiors our designers and planners; plan, visualize and improvise, keeping in mind the structural, the size and the location of your kitchen. Any unpleasant odours or detours of work areas are done away with making your kitchen experience wholesome and nourishing. The natural lighting or/and artificial lighting too is looked into, as strategic areas are designed to brighten up or bathe in mellow shades, making cooking a visible delight to the eye. Digg Interiors will help design your kitchen not just to meet your budget but to enhance your eating experience. You can choose from the available branded luxury modular kitchens to low budget designs which come in varied styles. We have Indian style kitchens, or classic European kitchen designs which include Italian kitchen designs, German kitchen designs and others. Our professional etiquette demands that we make life safe and easy for you in the kitchen, so safety standards and hygiene are high on our list. Our Digg Interior enthusiasts will be at hand to guide you on setting up your kitchen to make it a clean, safe and healthy experience.